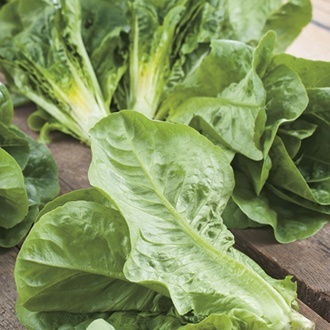 Like a larger version of Little Gem in shape and flavour, you will not be disappointed by this reliable cos lettuce. SOW OUTDOORS Late August to April direct in growing position, at intervals for succession of crops. Depth Half-inch/1.5cm Spacing Rows 1ft/30cm apart Thin out To 6in/15cm apart. Keep well watered in dry weather. Harvest March onwards.